Sorry, we only have 48 available. We were able to get our hands on a limited supply of these sky blue and tan leather Wilson memory foam mask pads worn by MLB Umpires on Father's Day in a silver aluminum Dyna-lite frame. 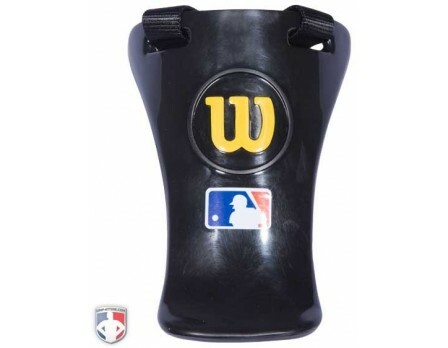 On Father's Day, Wilson will give MLB umpires options on contrasting pad color (either blue with black or tan) and in one of 3 frame colors (blue, black or silver). 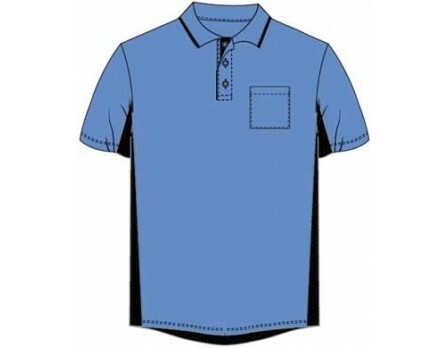 We felt this light contrast combination was the best combination for umpires looking to use it as either a special occasion mask and/or an everyday mask, especially as they match sky blue shirts very well and will feel cooler in warmer temperatures. 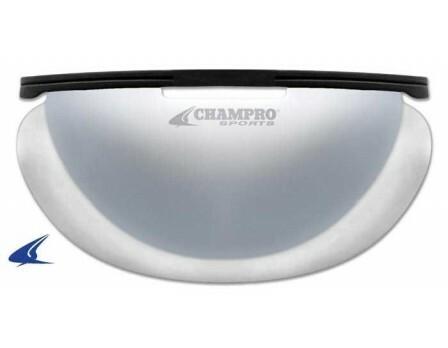 Comfort, Protection, and Performance: Non-wraparound memory foam padding allows the mask to sit closer to face for better vision. 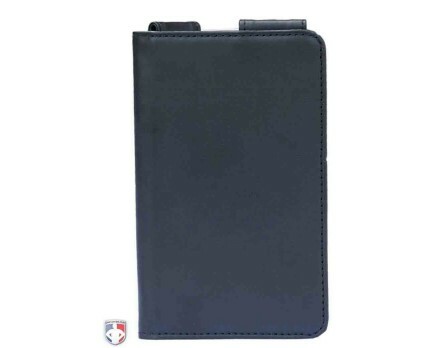 Full grain tan leather on the inside and blue poly-urethane on the exterior. The only Wilson leather memory foam pads currently on the market. I love it, this mask looks very nice when your wearing the Majestic MLB Sky Blue Umpire Shirt. Very comfortable. What a great umpire mask! Very light, the memory foam pads are great matches very well with the sky blue shirts. One of the best masks I've ever bought. From 8U to high school to the pros, I highly recommend this mask. 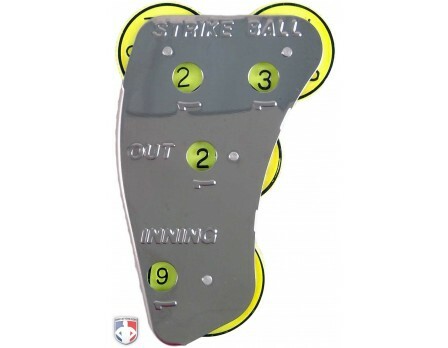 Just called my first game with it last night. Very light and best fitting umpire mask I've owned. Easy to fit and took a hard foul to the cage during the game and barely felt anything! This is my third Dyna-Lite Aluminum umpire mask. In my opinion the best mask on the market. I like the look matched with pro sky blue jersey. As soon as I opened the box, I was impressed with the look and feel of this umpire mask. Very light weight and comfortable. I wore my Smitty sky blue shirt this past weekend and I got a lot of compliments from my fellow umpires and spectators. Great job on the color and design. Q: Is there a sky blue throat guard to match? 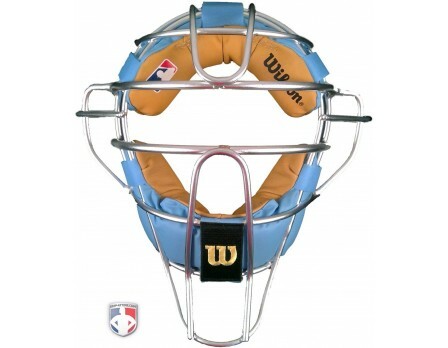 There is not a sky blue throat guard to match, but that is a good suggestion to pass along to Wilson. The throat guard that will match this mask best is the Wilson Gold "W" Throat Guard. Q: With the light colored pads, how easy are they to clean or keep clean? To keep your pads clean, you can wipe clean with mild soap and water or a mild leather cleaner to keep them soft. It is not recommended to use strong chemicals as the pads will be resting against your face or to submerge your pads in any solution. 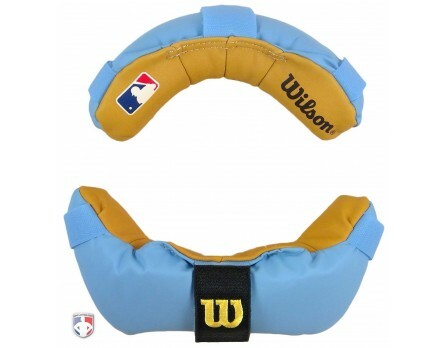 Q: Are the two-tone sky blue tan foam memory pads for the Wilson umpire mask available separate? The sky blue and tan memory foam pads are available separatley and can be found here. Q: Is there an option to either purchase just the pads or to order the mask with the blue frame? You can purchase the blue and tan memory foam pads on their own, but we are not offering a blue frame. 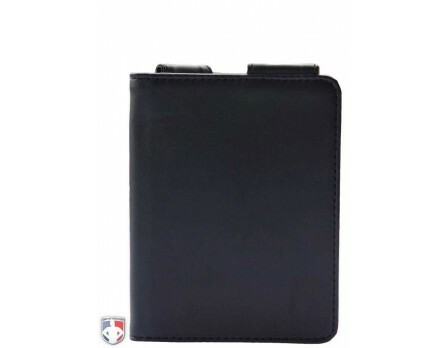 The first-ever umpire gear retailer named to the Baseball/Softball sporting goods category.